Our Kenya Birds & Beasts Photo Safari Plan-B offers a nice combination of game viewing and bird photography throughout central Kenya. 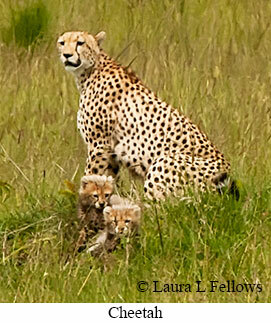 The itinerary is carefully designed to cover top safari sites plus selected birding locales in Kenya. Highlights include the extraordinary Wildebeest migration in season, opportunities to photograph Cheetah, Lion, and Leopard in Masai Mara, a game drive and bird photography at Lake Naivasha, the unique mammals of Samburu and Buffalo Springs Game Reserves, and Mt Kenya. The best time to take this tour is during the dry season when vast herds of Wildebeest and other game animals migrate north from the Serengeti into Kenya's Masai Mara. The timing varies somewhat every year but reliable months are generally mid-July to mid-September or sometimes October. The tour can be conducted either backward or forward so the visit to Masai Mara can be adjusted to accommodate tours scheduled at the beginning or end of the migration period. Due to guide availability it's best to book this tour at least 6-12 months in advance. Accommodations vary from good to excellent throughout the tour. The tour begins with a transfer to Masa Mara where the goal is to photograph migrating Wildebeest crossing the Mara River. Mammal photography will be excellent and should feature a large variety of antelope as well as Plains Zebra, Cape Buffalo, Elephant, Rhinoceros, Hippopotamus, and predators such as Lion, Cheetah, and perhaps Leopard. 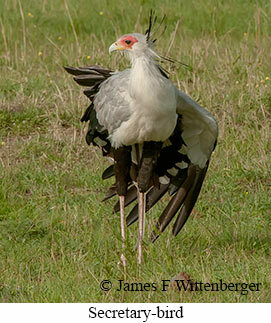 Bird photography will also be excellent, especially birds of the open plains, in bushed grassland, and around wetlands. The tour then proceeds into the Rift Valley to Lake Naivasha. A two night stay at famed Elsamere Centre features bird photography on the lodge grounds, a boat trip on Lake Naivasha to photograph African Fish-Eagle and other wetland birds, and a game drive in Lake Naivasha National Park. From there the tour continues farther north into semi-arid plains, with a side-trip en route up the road into the low-lying Aberdare Mountains to photograph sunbirds and other specialty birds found there. The next two full days will be spent photographing birds and game animals at the sister reserves of Samburu and Buffalo Springs. These reserves feature several mammals not found elsewhere such as Grevy's Zebra, Gerenuk, Beisa Oryx, and Reticulated Giraffe and are a good place to look for large predators and a variety of northern specialty birds. The tour concludes in the foothills of Mt Kenya. A full day will be devoted to an altitudinal transect up to 10,000 ft on Mt Kenya to photograph birds of different altitudinal zones. The last day begins with a transfer to Castle Forest for a mid-day stop to photograph some specialty birds before transferring back to Nairobi and the international airport for the flight home.